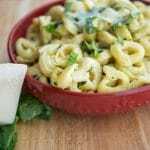 Brown butter adds a wonderful nutty flavor to many dishes like this simple tortellini dish with garlic and basil; which can be used as a main entree or side dish. 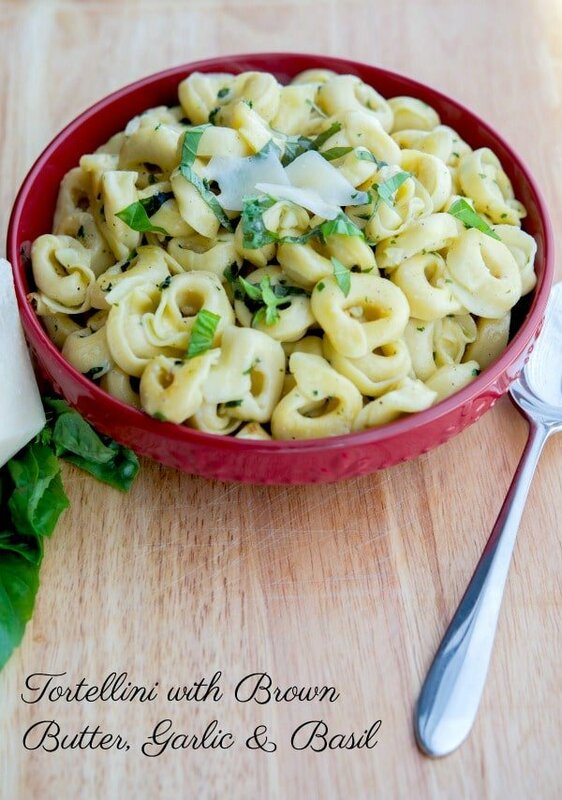 If you’re looking for a really flavorful, quick side dish this Tortellini with Brown Butter, Garlic & Basil is it! Brown butter adds a wonderful nutty flavor to many dishes like pasta, vegetables and one of my favorites…home popped popcorn! 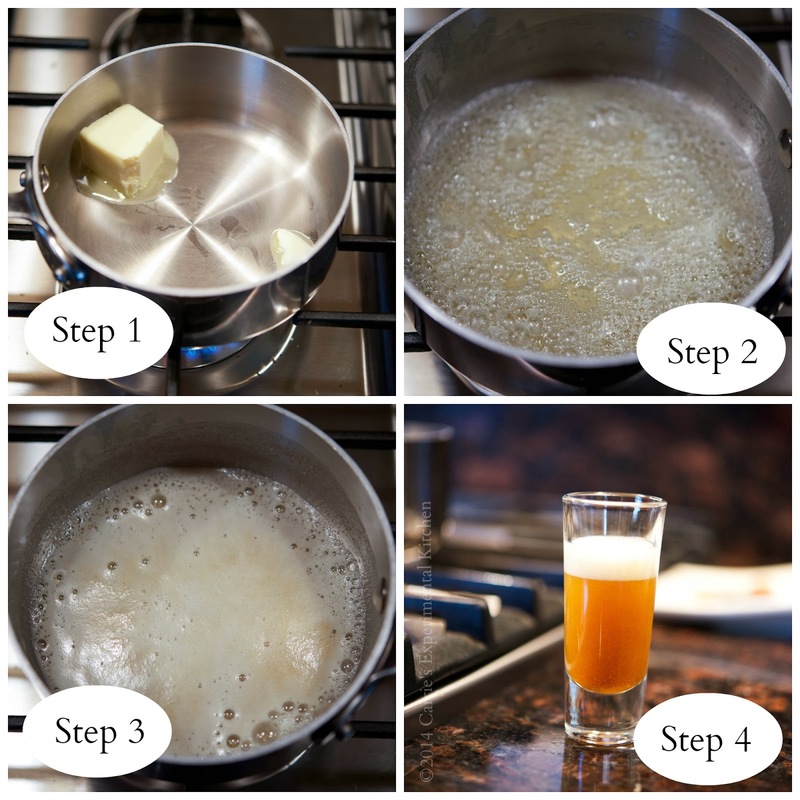 If you’ve never tried making brown butter before, here is how you do it. The entire process only takes a few minutes. Step 2: Watch the butter carefully and swirl it around several times in the pan while it’s melting. Step 3: Allow the butter to foam up and turn a light brown color; then remove from heat. Step 4: The butter should be an amber, light brown color and should have a nutty smell. Once you have your brown butter technique mastered, it’s time to add some other fresh ingredients. 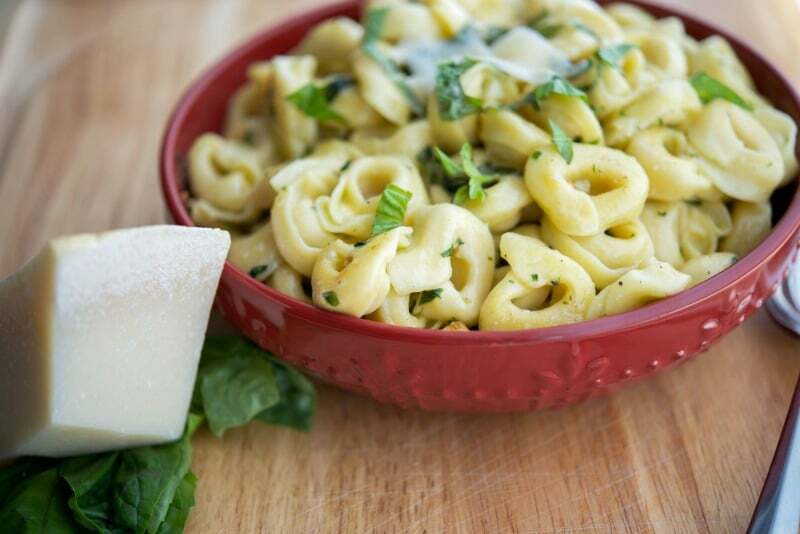 I could eat an entire bowl of this tortellini with fresh garlic, basil and grated Pecorino Romano cheese; which is why I generally only serve it as a side dish to go with our main entree. It’s one of our favorites and you can also use regular pasta, ravioli, or gnocchi as well. Young kids love this too so it makes a wonderful treat for lunch or dinner. ~Enjoy! Cook tortellini according to package instructions; drain water. (Cooking times may vary depending on whether you are using fresh or frozen tortellini. While the tortellini is cooking, prepare the brown butter. 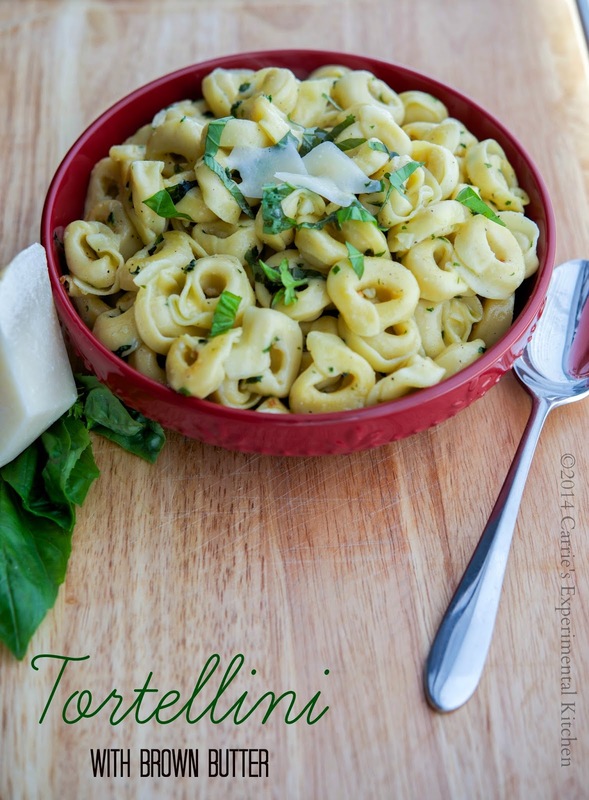 (Use a larger pot so that you can add the tortellini to it after it finishes cooking). The entire process should take approximately 2-3 minutes. Once the butter has been removed from the heat, add the garlic and basil and stir for 1 minute. Finally, add the cooked tortellini and freshly grated cheese; mix well.